Comprehensive family dentistry means addressing cavities and tooth decay, brightening smiles and straightening teeth, and providing common sense tips for preventative care. These are things we always stress with each visitor to our office. Over the last decade or so, dentists have been turning to tooth-colored dental restorations to address tooth decay and cavities. Even the traditional metal fillings of the past are often avoided thanks to tooth-colored dental fillings. Tooth-colored dental fillings are dental restorations made from special bonding materials. 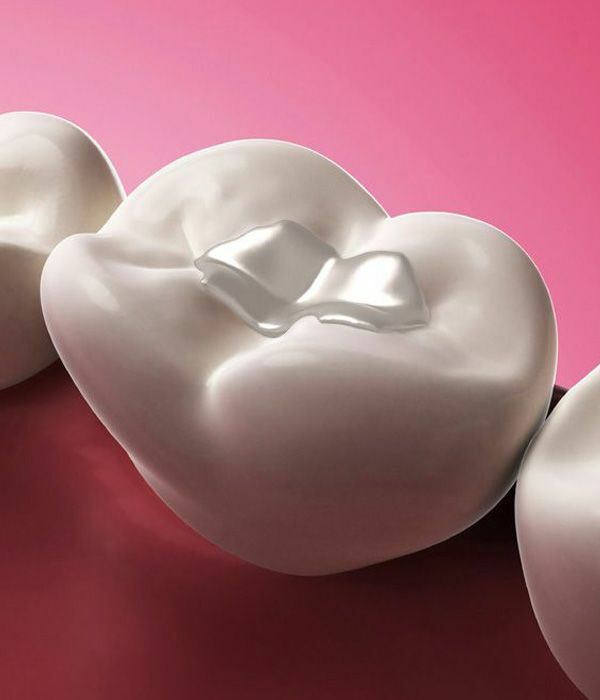 Rather than using a metal amalgam filling, these tooth-colored materials are built layer upon layer into the cavity. The result is a strong dental restoration that strengthens a tooth, improves overall dental health, and looks totally natural. There are many advantages to getting tooth-colored fillings, and some you may have assumed already. Let’s cover some of the most important benefits of these fillings below. The primary benefit of tooth-colored dental fillings is that they blend in seamlessly with the structure of your tooth. This makes these fillings especially great for your front teeth and prominent teeth. With tooth-colored dental fillings in place, virtually no one will realize that you’ve undergone dental work unless they look really close. Even though tooth-colored dental fillings are made from ceramic materials rather than metal, they are quite durable. A person with tooth-colored dental fillings can bite and chew just as they normally would, without any worry of damage to the restoration or the rest of their tooth structure. When drilling and prepping a tooth to receive a metal filling, dentists will inevitably remove a little bit of healthy tooth structure to accommodate the material. With tooth-colored dental fillings, however, dentists are able to maintain more of a patient’s natural tooth structure. The more natural structure in place, the better this is for dental health in the long run. Metals are commonly affected by changes in temperature, expanding slightly in hot temperatures and contracting in cold temperatures. Metal dental fillings will do this ever so slightly. Over time, it can lead to small cracks and damage in the tooth structure. Since tooth-colored fillings contain no metal, this is not something you’ll have to worry about. Tooth-colored dental fillings can be placed on any tooth, not just the most prominent ones seen up front. In a number of cases, tooth-colored fillings may be placed to address cavities on premolars and molars. This is done at the dentist’s discretion, but it’s no unheard of since these tooth-colored fillings are strong. Are Tooth-Colored Restorations Right for Me? The best way to learn about tooth-colored dental fillings and if they are the right option for you is to stop by our practice for a visit. We can check your teeth for cavities and discuss various restoration options as needed. For more information about tooth-colored fillings and your many other options for enhancing the health and appearance of your smile, be sure to contact our advanced dental care center today. Our team will work with you to enhance your dental health and wellness.